Assurance, 401(k) Audits, Consolidations, Consulting, Investments, and Revenue Recognition. Brooke began her career in 2010 at KPMG, where she primarily worked in the financial services group. She joined Saville in 2012. Since then, she has assisted with assurance and consulting engagements for various sized clients and industries, including start-ups to large companies with subsidiaries that have domestic and foreign operations. In addition, Brooke has helped with assurance engagements on employee benefit plans with various frameworks and scopes. 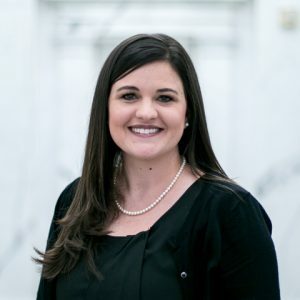 Through her experience with many different industries and entity structures, Brooke has developed a thorough understanding of a variety of complex accounting areas including revenue recognition, variable interest entities, consolidations, investment classifications, and goodwill. Brooke lives in Waxahachie with her husband and two children. She enjoys spending time with family and friends. Her hobbies include crafting, reading, and cooking.